We have been invited to speak at Nordic BIM Summit 2019 on this Friday. If you are around we hope you will join us at our presentation “What is BIMTypeCode” at 8:45 Friday the 29th. We will be present under the whole summit, so please come and talk with us during the breaks. BIM Stockholm has met with software suppliers to present BIMTypeCode. On wednesday BIM Stockholm met with representatives from AEC, Nolliplan, NTI and Symetri at LINK arkitektur. The purpose of the meeting was to inform the software suppliers about BIMTypeCode, how it is intended to be applied and managed. The interest was great and BIMTypeCode was well received. The intention is now to implement the system in mulitple software applications. During the spring BIMStockholm will reach out to more partners in the construction industry	to inform about BIMTypeCode. The BIM Stockholm group will even continue to optimze more BIM methods and processes. The digitalization of the construction industry is in full swing and there is a need to develop new digital coding systems of building elements in the construction sector. 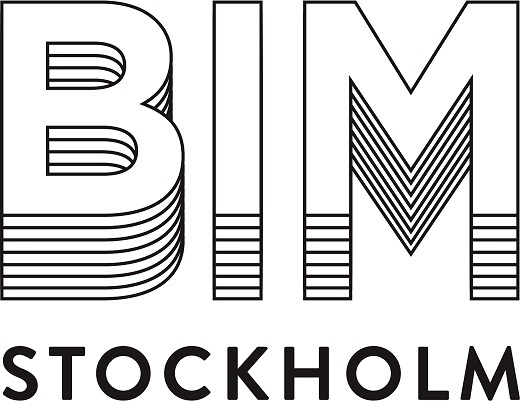 Therefore, the BIM Stockholm initiative, a collaboration between eight architectural offices, has developed BIMTypeCode. On October 10, BIMTypeCode is introduced, a coding system aimed at simplifying the design process and raising productivity in the construction sector. Behind the method are eight of Sweden's leading architectural offices, which together created the BIM Stockholm Group. The development team consists of Arkitema Architects, AIX Architects, Cedervall Architects, C.F. Møller Architects, Liljewall Architects, LINK Architecture, Nyrene Architectural Office and Tengbom. Typecoding of building elements contributes to an industry-wide basis for communication by developing a uniform way of describing the different elements of a construction site. By simple and systematic typing of building elements, the system responds to today's digital needs in the construction sector. The development project BIMTypeCode is about developing and optimizing BIM tools, methods and processes focusing on a common language between all actors. This contributes to a more qualitative and reliable information management, as communication between actors in the construction process requires terms and concepts to be common. BIMTypeCode is a simple and logical coding structure for building elements based on design requirements, experience and best practices from both smaller and more complex BIM projects. The method structure and create the conditions for drawing up lists of estimates, calculations and descriptions, as well as defining building-level interfaces between different disciplines. The codes are not language-based because they are based on a numeric system. In this way, a simple standardization of all disciplinary building elements is achieved. The type coding does not correspond to a classical designation or classification system. The inventory of the building elements that Swedish construction projectors need and what they are called is a result of the Smart Built Environment project "Rating as a complement to classification" funded by Formas. BIMTypeCode is a practical and free code system that can easily be linked to other rating systems such as CoClass, BSAB and IFC. The system can be used by the entire construction industry and requires no additional software. It is available in Swedish, Danish, English and German.